Affiliates and admin need to keep a track of different transactions that take place in affiliate account. It allows you to view and manage these transactions. When an order is paid, the transaction for the order is added to the affiliate ledger as a commission. If the order is cancelled, the entry in the affiliate ledger is reversed. The entry for returns and refunds are automatically debited. Go to Affiliates > Affiliate ledger of the StoreHippo Admin Panel to access the ledger. In the Affiliate field, choose the affiliate for which you want to add the ledger from the existing affiliates. It is a mandatory field. Choose the type of ledger entry for the transaction. It can be credit or debit. It is a mandatory field. Provide the amount as fee/commission for the affiliate. It is also a mandatory field. Enter the description regarding the transaction in this field. You can check the available balance of an affiliate by clicking View balance button in the top right corner of Affiliate ledger screen. You just need to type the title of an affiliate and its available balance will be shown. 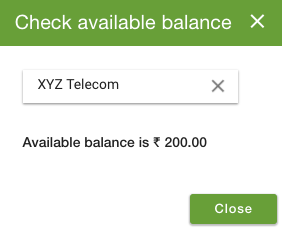 Affiliates can withdraw the balance amount from their admin panel.